The seabed of the island hides as well an unparalleled beauty and a remarkable wreck. The Peristera Shipwreck lies opposite the seaside village of Alonissos, the Steni Vala, which is probably an Athenian merchant ship that sank at a depth of about 30 meters around the 425-415 BC. 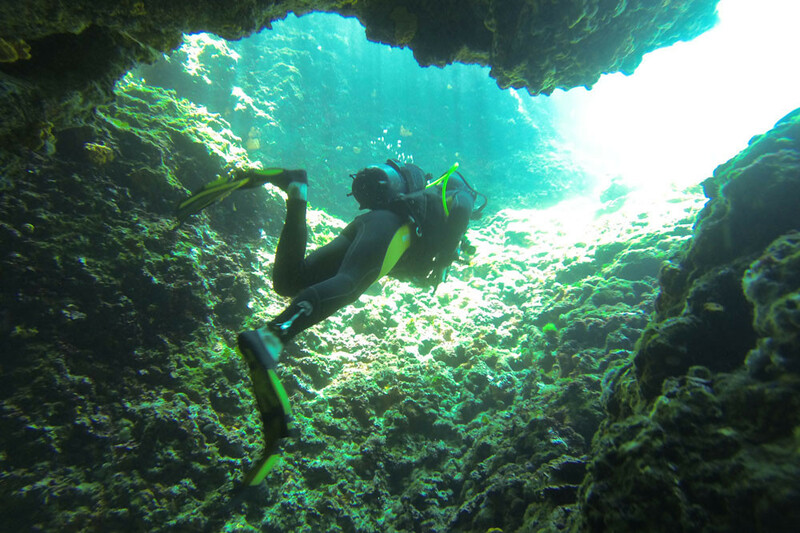 Those who go there with for scuba-diving will be amazed by the magical spectacle and the secrets of the seabed. Also, several zones of the National Park of Northern Sporades, such as the zone in the area of Jura, are free for scuba-diving and for swimming, giving the opportunity to watch rare fish. Finally and with a little luck you may have the opportunity to see up close the Mediterranean Monk Seal monachus monachus, since in this area lives and reproduces the world's largest population of its kind. 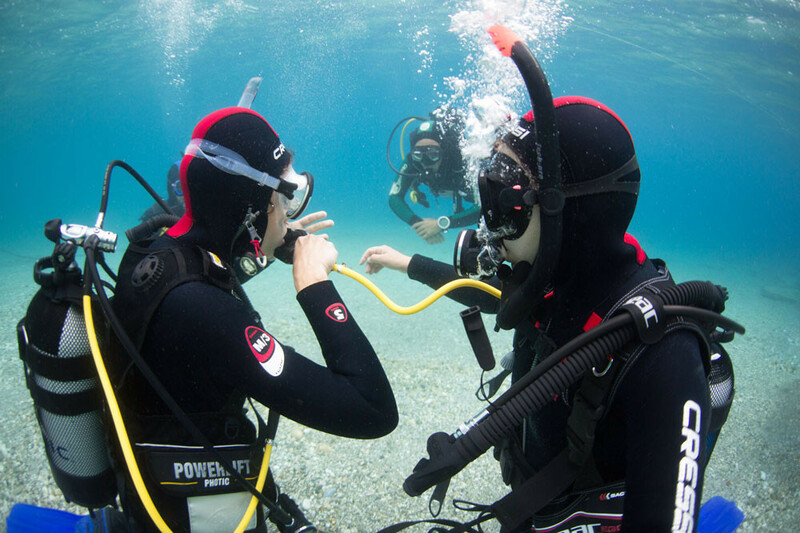 Skopelos Dive Center and scuba diving is among the in-water activities beginning in 2014. 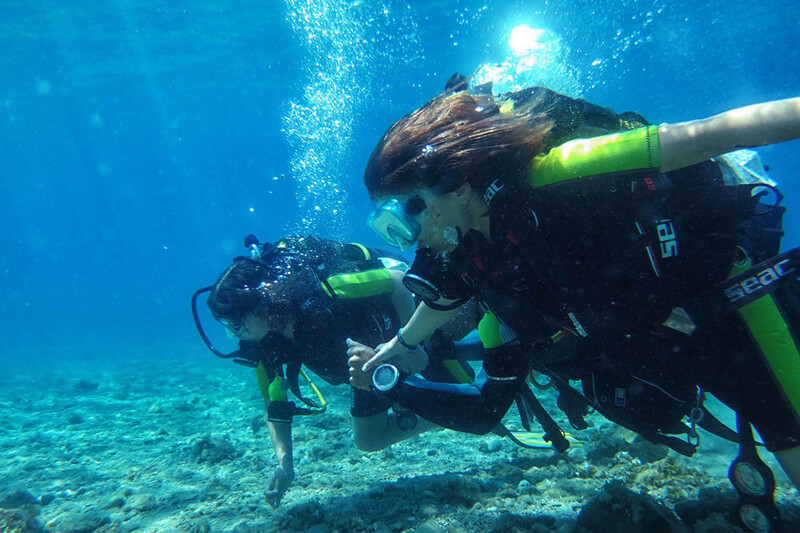 The center was created and supported by young people who love both the island of Skopelos and scuba diving and aim to foster recreational diving in the area, while promoting environmental awareness through in-water activities and other initiatives. Skopelos Dive Center is based in the southern part of the island in Adrines beach in Panormos within the Adrina Beach Hotel and in the northern part of Skopelos, at the main harbor. It is open from early May until late October every year. With two dive speedboats and a professional pick-up, it organizes guided scuba dives from the boat or the shore, to every diving location around Skopelos and also to more remote locations. At the diving center PADI instructors conduct educational diving courses up to the first professional level (Divemaster), as well as First Aid courses for those who want to learn to dive in a safe and responsible way.